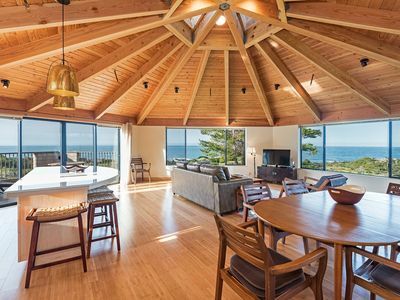 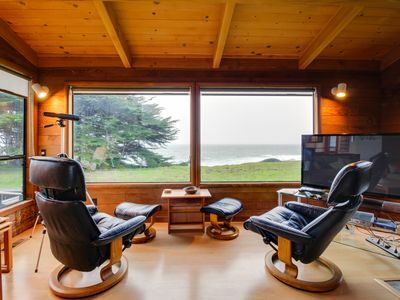 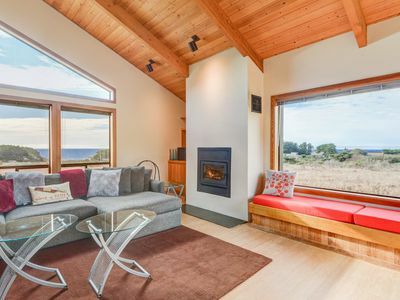 Enjoy incredible forest and ocean views from this airy and modern home. 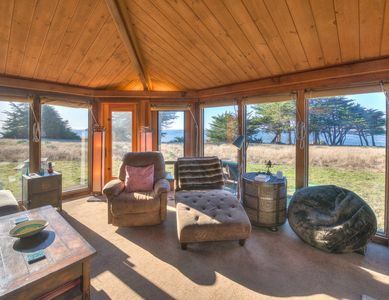 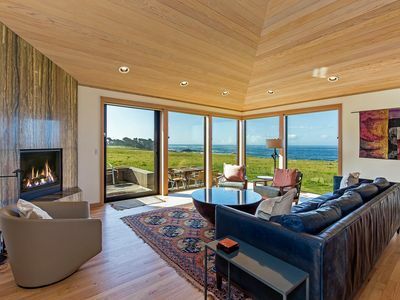 Complete with high-end furnishings, a wood-burning fireplace, private hot tub, and a full kitchen, you will experience the ultimate Sea Ranch experience. 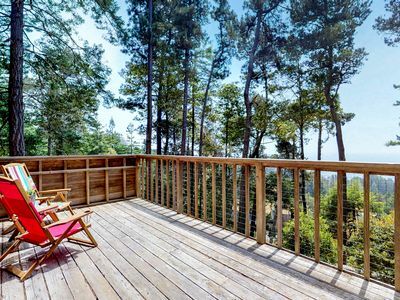 This home also features a furnished deck with a gas grill for entertaining or barbecuing while taking in the fresh ocean air. 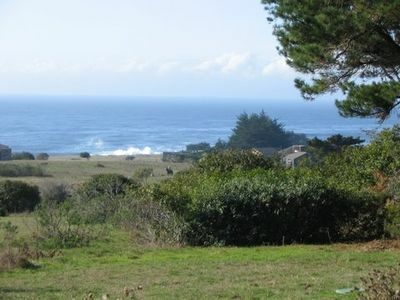 Take advantage of all that Sea Ranch has to offer like hiking, strolling on the beach, and biking. 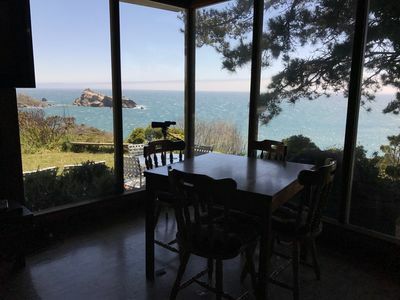 Take a scenic drive up the coast to Mendocino for galleries, shops, restaurants, and Mendocino Headlands State Park, less than 60 miles north. 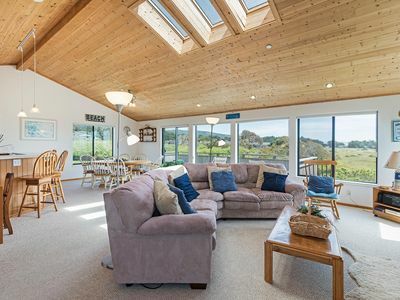 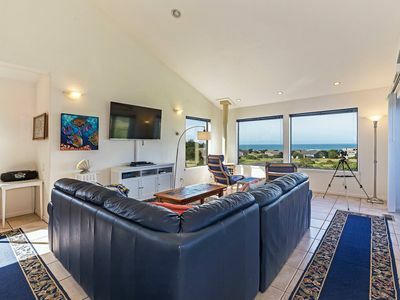 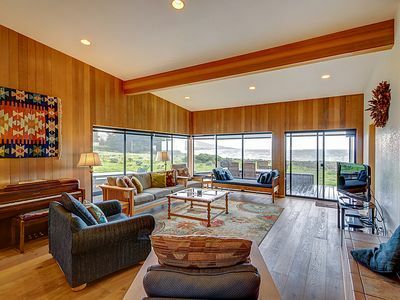 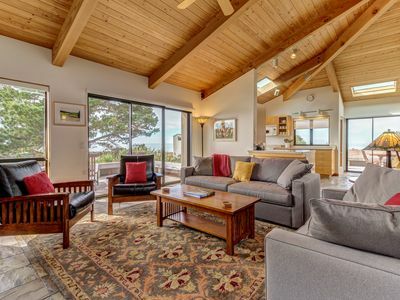 And with the provided amenities pass, guests of this rental will enjoy access to all three recreation centers in Sea Ranch including Del Mar, Moonraker, and Ohlson, all of which boast swimming pools. 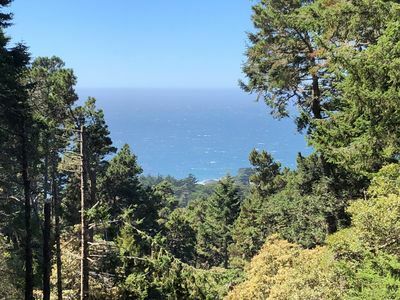 * Please note that cell phone service and internet access can be inconsistent in this area. 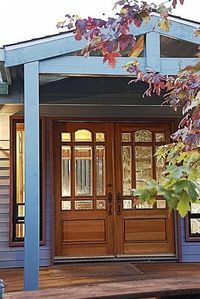 Parking Notes: There is easy parking for two vehicles at the home. 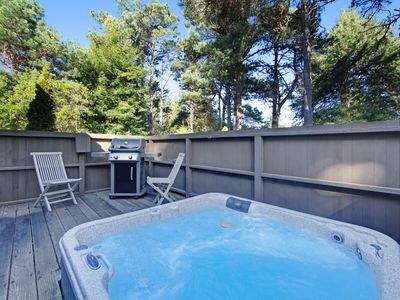 Lovely oceanfront getaway, dog-friendly, private hot tub, & shared pool! 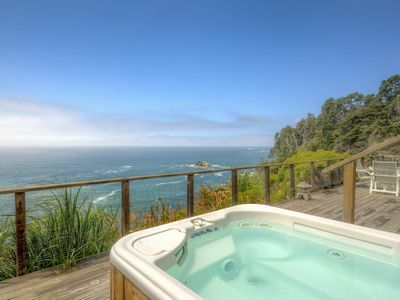 Large oceanfront cottage with private hot tub, huge kitchen- Good for Groups! 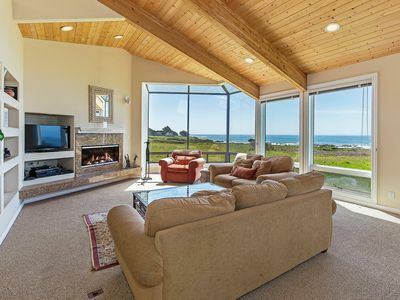 Oceanfront home w/ a private hot tub, views & shared pool - steps from trails! 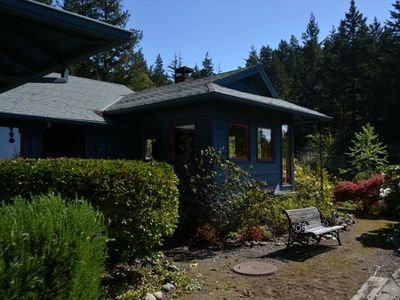 Oceanview bluff home w/ private hot tub and access to shared pool/saunas/tennis! 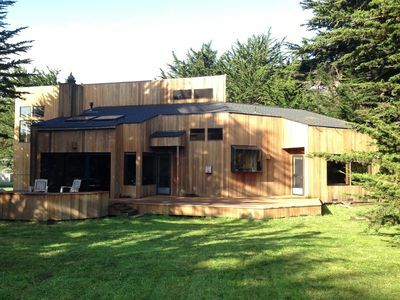 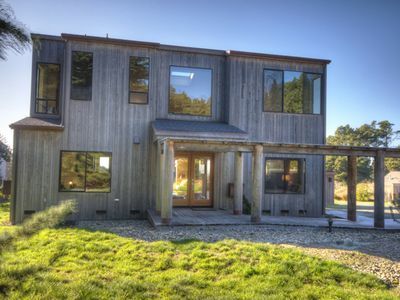 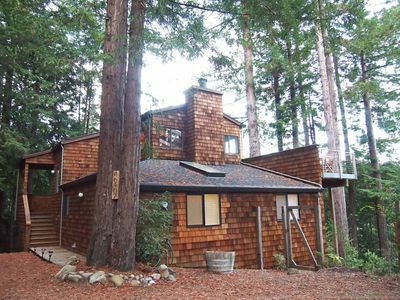 Historic cabin w/ woodstove, deck with ocean views, and shared pools/tennis!